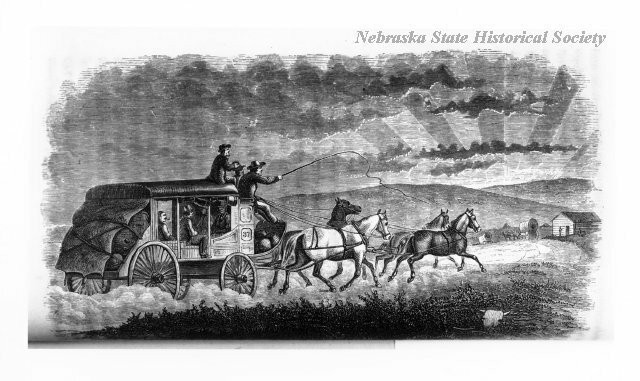 For the next fifty miles east-bound travelers will be passing from the semi-arid Great Plains into the country of eastern Nebraska. Near here are located the city of Kearney and Fort Kearny, for which it was named. The fort was established in 1847 and continued in use until 1871. Fort Kearny was built at a point where eastern trails joined to form the Great Platte River Road to the West. Thousands of overland travelers passed by the fort each year. The U.S. Army was sent here not only to aid and protect the emigrants but also to protect the Indian tribes in the region from the travelers and to prevent inter-tribal warfare. Numerous road ranches were established near the fort. One notorious outfitting point nearby was Dobytown, which also attracted pleasure-seeking soldiers. 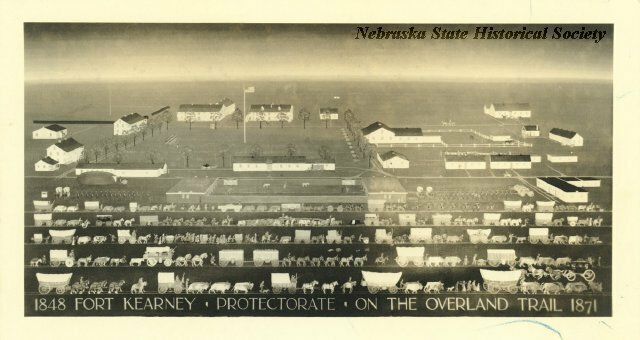 “Kearney - Fort Kearny,” Explore Nebraska History, accessed April 19, 2019, https://mynehistory.com/items/show/37.